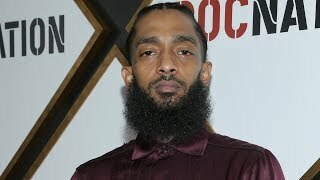 Grammy-nominated rapper Nipsey Hussle has been shot to death in Los Angeles, multiple reports say. Law enforcement sources tell the Los Angeles Times, NBC News and TMZ that the 33-year-old rapper, whose real name is Ermias Asghedom, was one of three people shot Sunday outside his clothing company, called the Marathon Store, in South Los Angeles. TMZ was the first to report the shooting. Los Angeles Police Officer Mike Lopez told USA TODAY three people were shot and one died. He said one person fled in a vehicle after the shooting.